I love sharing the crafts I enjoyed as a child with my own children. 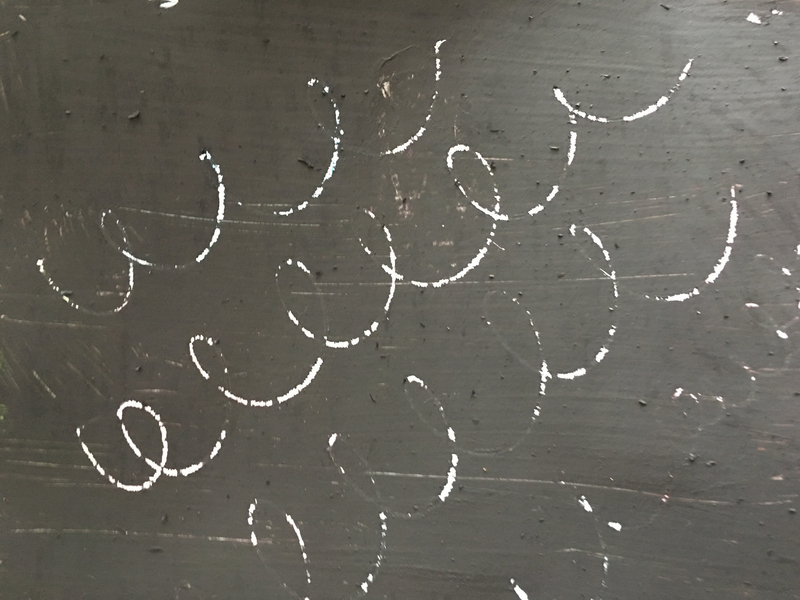 I’ve seen plenty of scratch art kits around but nothing beats making your own from scratch – sorry, couldn’t resist. Cover your sheet of card with the crayon. You can do this anyway you like. My 5 year old carefully coloured small squares of colour, my 3 year old was less structured and demanded I finish it off for her. 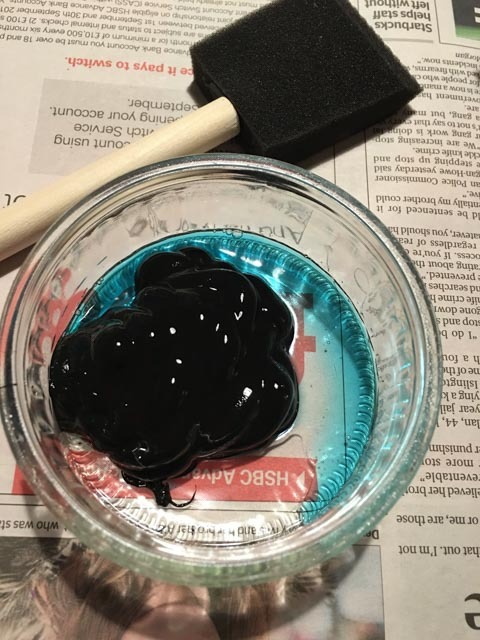 Mix the black acrylic paint with some washing up liquid. Now comes the fun part. 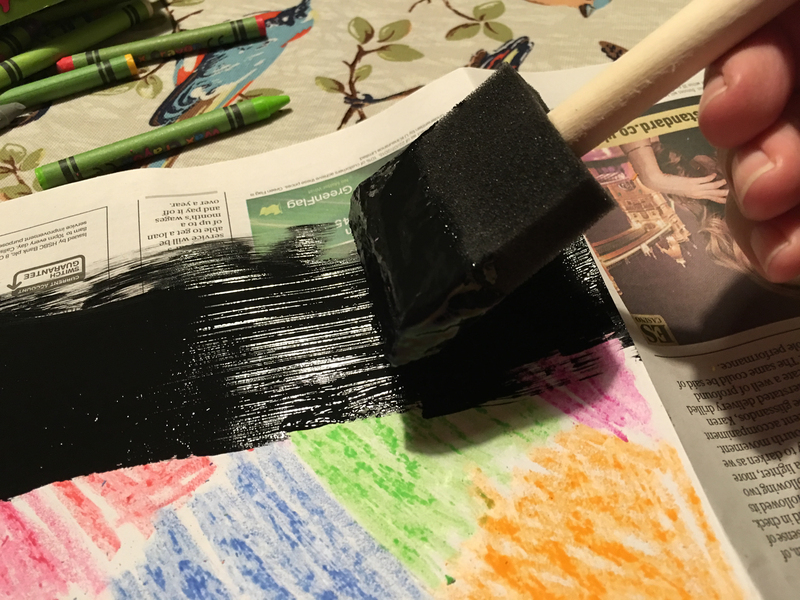 Sponge the mixture over the wax crayon so it is completely covered. Leave to dry. 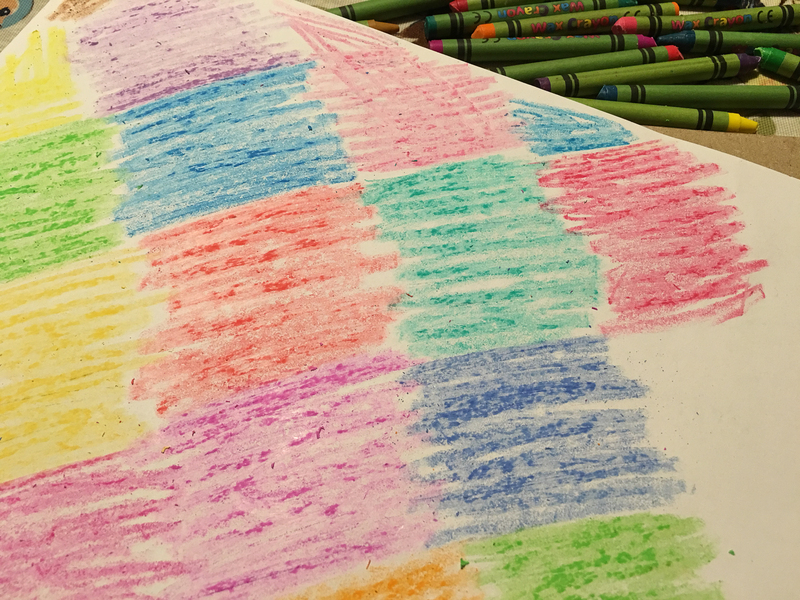 then you are ready to scratch off the black to reveal the colourful crayon underneath. 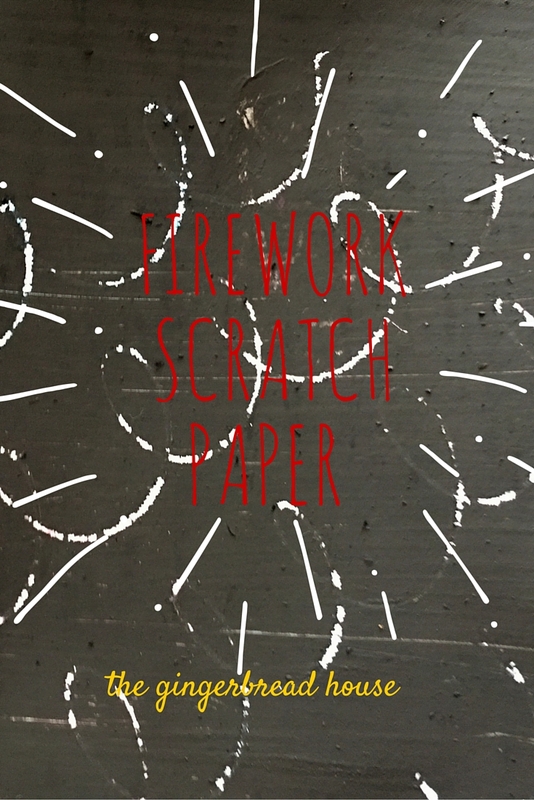 We made a firework picture with ours but this could also be fun for a New Year craft or to make birthday cards too. I used to LOVE doing this as a kid and in fact as part of a college art project I did it, but printed photos and scratched over those instead 🙂 I run a Brownie group and I think this would be a great autumnal activity! This is super cool, I have never thought of making scratch paper before, but I think you’re right it does make amaaaazing cards!